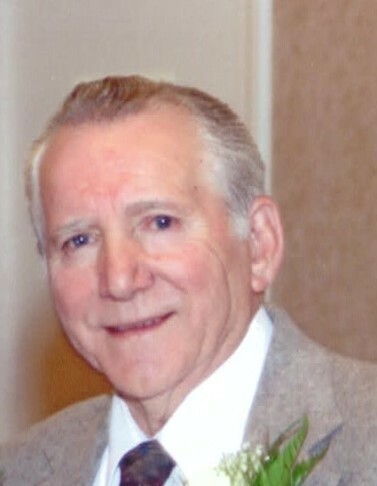 Obituary for Americo 'Rico' Grande | Nardolillo Funeral Home, Inc.
90, of Cranston, passed away on Wednesday, April 10, 2019 at R.I. Hospital surrounded by his family. He was the beloved husband of Lenora (Golini) Grande for 61 years. Born in Providence, he was the son of the late Pasquale and Maria (Santoro) Grande. He is survived by many loving nieces and nephews and was the brother-in-law of Jean Golini. He was also the brother of the late Louise Valetta, Agnes Leveille, Rosina, Angelo, Alfred, Anthony and Joseph Grande. Americo was a U.S. Army Veteran serving during the Korean War conflict. He worked at the VH Blackinton & Co. for many years before his retirement. He was a member of the St. Anthony’s bowling league, a founding member of the Highland Rod and Gun Club, and a communicant of St. Bartholomew Church in Providence. His funeral will be held on Saturday, April 13 at 8:00 a.m. from the NARDOLILLO FUNERAL HOME & Crematory, 1278 Park Ave., Cranston followed by a Mass of Christian Burial at 9:00 a.m. in St. Bartholomew’s Church, Providence. Burial with Military Honors will take place in St. Ann Cemetery, Cranston. VISITING HOURS are Friday, April 12 from 5 - 7 p.m. In lieu of flowers, memorial contributions may be made to St. Jude’s Children’s Research Hospital, PO Box 1000, Dept. 142, Memphis, TN 38101.